Expand your Workflow with additional Columns and get more done. 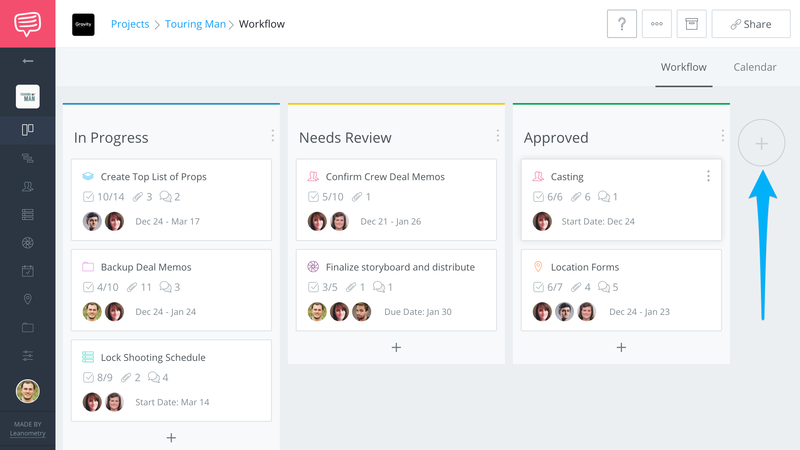 Workflow boards are a great way to track your project. However, you are not limited to the default columns, you add custom columns by following these steps. 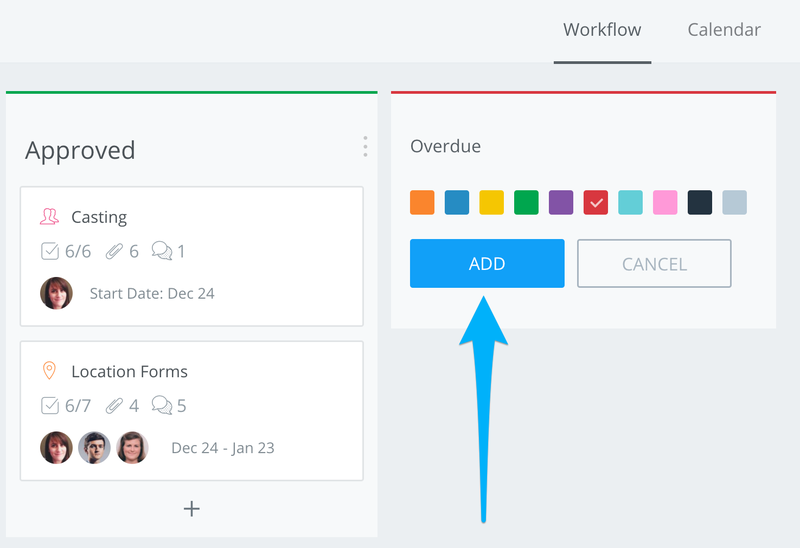 On your Workflow page, click the Plus Icon (⊕). In the new Column, enter a title and color. Then click Add. 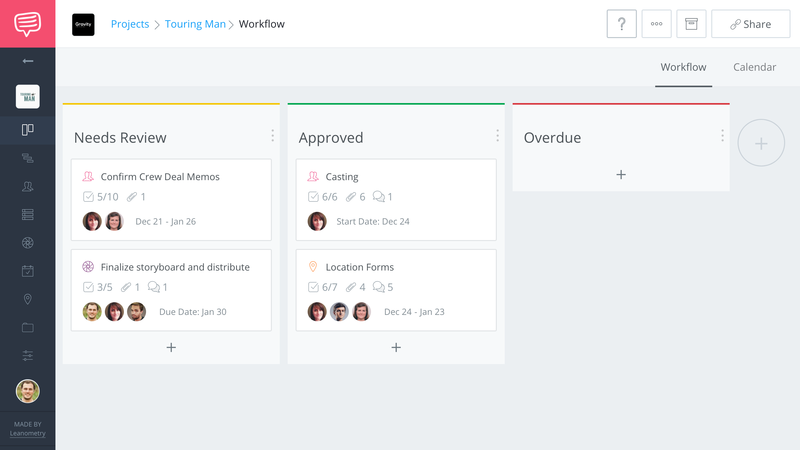 Once the column is created you can add new task cards or move task cards into it.